“Dig (Prince William) in the ribs a few times and embarrass him” and “make him lose some hair”! Start writing your best man speech about two months before the wedding. As the date nears, there are lots of events, such as suit fittings, which could distract you from your writing. Start by creating a structure of a beginning, middle and end and a list of the key things to consider. Choose the top 10 things you want to say and include a mix of funny anecdotes and stories such as: when the groom met the bride, comments on the day so far, tales from when you went to school together and a round-up of who to thank before a toast. The good news is, you don’t have to write a film script here! A best man’s speech should just be around five minutes, but no longer than ten to keep the audience’s attention. A light-hearted and snappy speech from the heart with a few witty comments will always go down a treat. Memorising is fine if you have a great memory, but you’ll feel much more confident if you have your speech written down. Use small note cards with your key points in your speech listed in bullet points so it’s easy to pick up where you left off if your nerves get the better of you and you veer off track! First impressions really are everything, so try kicking off with a killer opening line to grab everyone’s attention and set the mood. Try a great one-liner, a witty comment about the groom or even express your gratitude at being given this role. Don’t forget to introduce yourself to the crowd and how you know the groom, as whilst most people will know who you are, a handful of people may not! 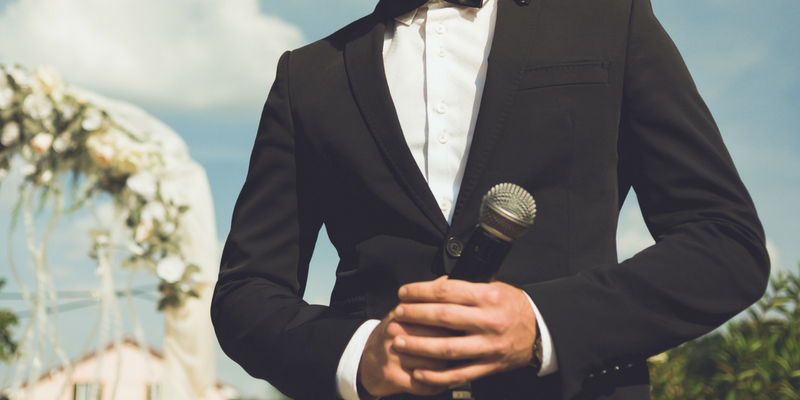 Of course, the best man’s speech doesn’t have to be a rehearsed, set dialogue. But practicing keeps your timing on track, your eye contact on point and your nerves at bay. Video yourself on your phone, practicing your speech aloud and send it to a close friend for some honest feedback or to get a feel for how it’s going. 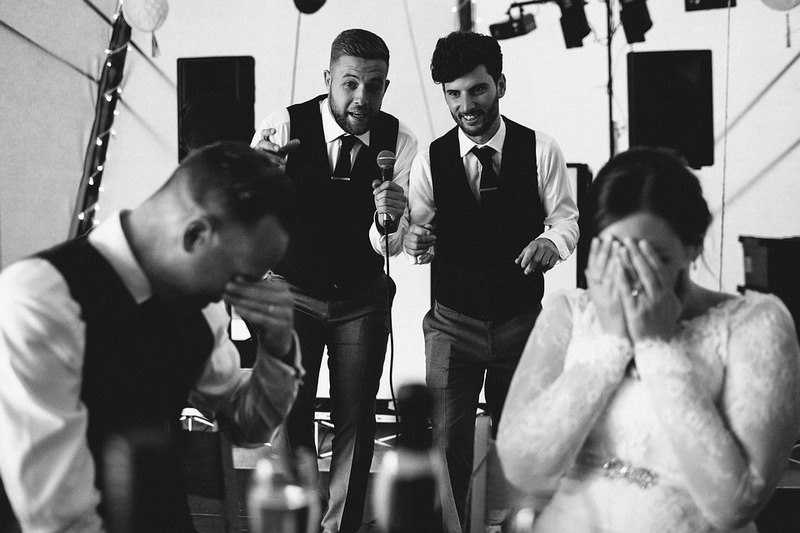 Of course you’ll want to make a few jokes at the expense of the groom (what’s a speech without a bit of banter!) but you don’t want your speech jokes to be remembered for all the wrong reasons. 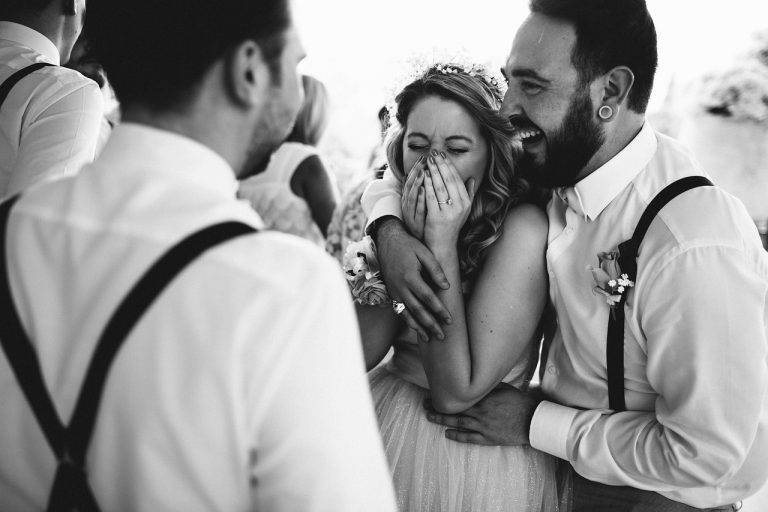 We suggest to keep it clean and instead of telling any horror stories about ex’s or wild behaviour pre-relationship, tell light-hearted stories of the grooms character and the time you’ve shared together. You can never go wrong with a sincere compliment about how beautiful the bride looks! Work in a story about how the groom met the bride, or how happy she makes your best friend and it’s sure to be a crowd pleaser. See links for more information on Speech Format’s for the Best Man, Best Man Speech Examples and Speech Tips for the Father of the Bride. « Glee Star Lea Michele is Engaged!